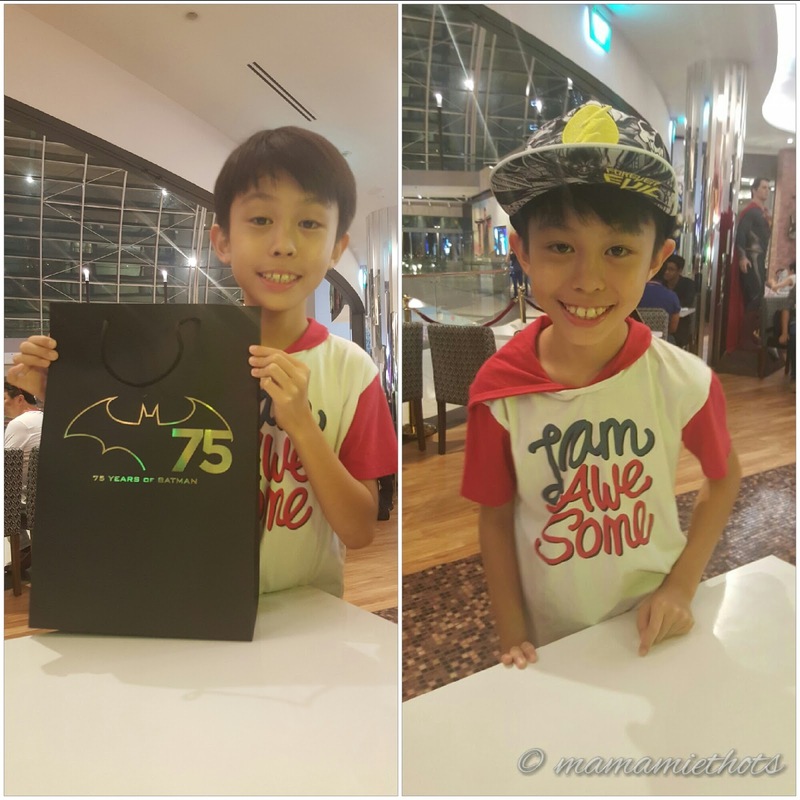 ~Mamamie's Thots~ Singapore Parenting and Lifestyle Blog: Happy Birthday to my tween boy! Happy Birthday to my tween boy! Time flies and YS has turned 10 years old. 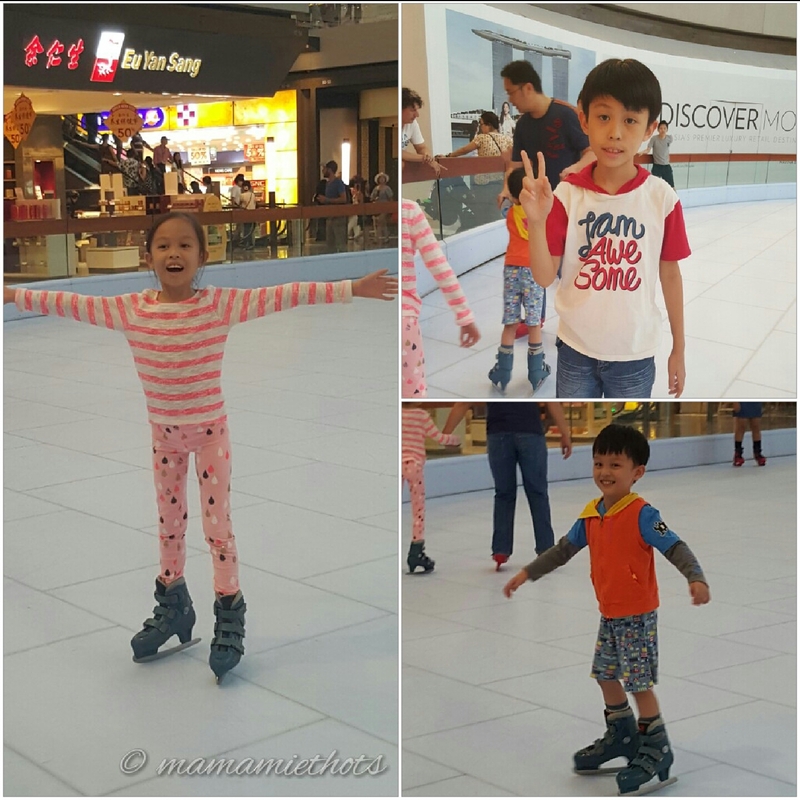 This year, he requested to go for ice-skating but the actual ice-skating rink is located in Jurong *__* As the children ended their enrichment late so we decided to come over to MBS for a little bit of skating fun. 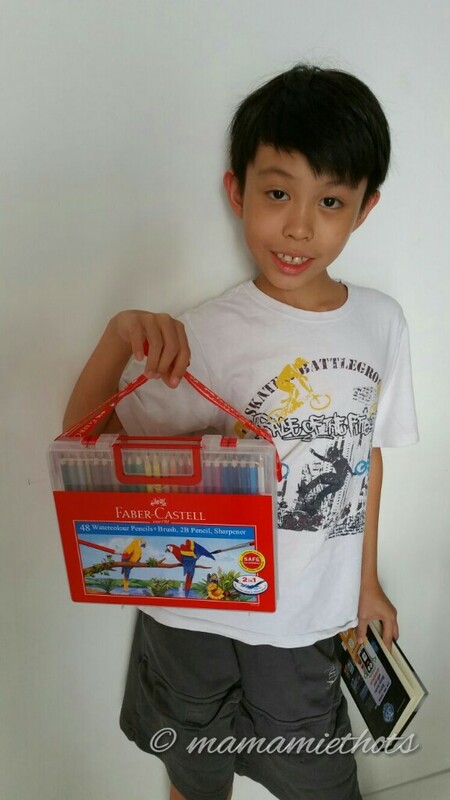 As YS is entering into tweenhood, his request for presents also differs from what he usually likes. 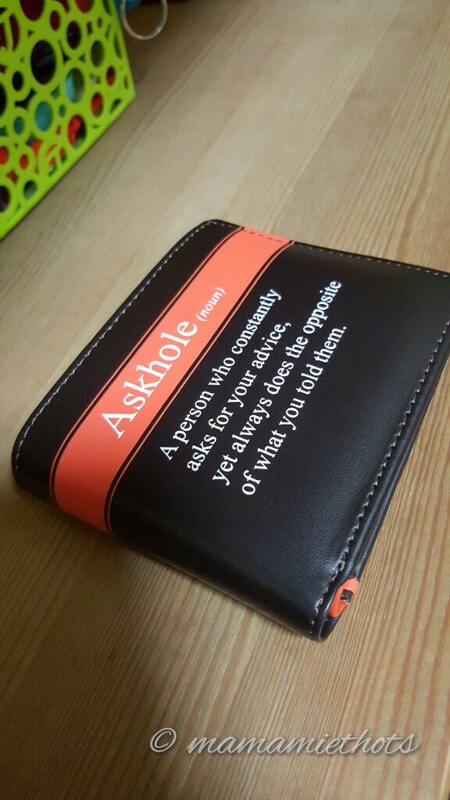 This year, he wanted a "not so kiddy" wallet so I brought him to the Wallet Shop and he chose this by himself. lols! You can imagine the father's expression when he saw this. Ah Ma got him a new set of colour pencils. 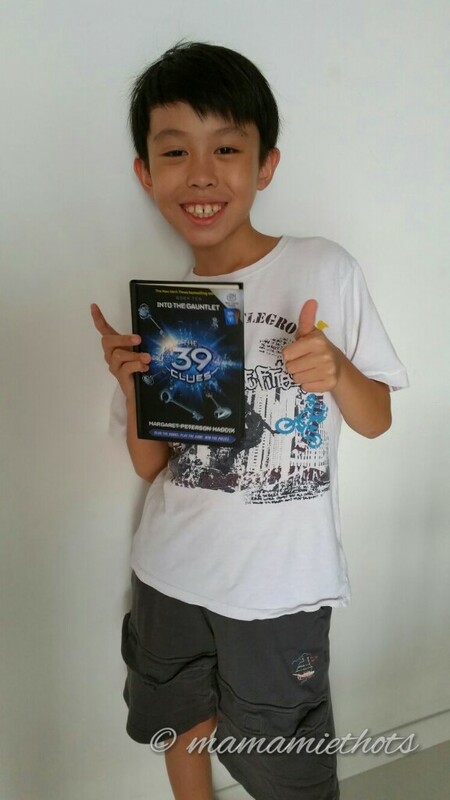 His very generous sister paid for this book with her own savings. Of course, what was meant to be "just taking a look in the shop" while we were waiting for our food at DC Comics Super Heroes Cafe and came back with this black paper bag. Hb really "sayang" our kids, he does not mind to splurge on the kids at all. Hope YS will take good care of this cap coz its quite expensive in my opinion. 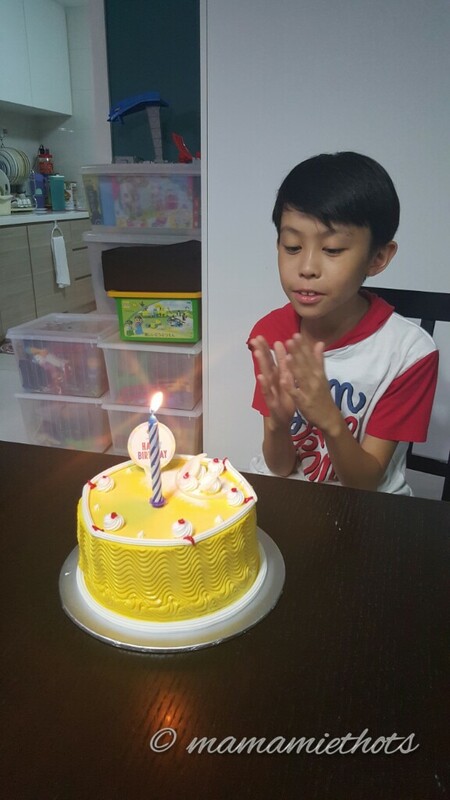 We bought a premium eggless mango cake from Emicakes and celebrated for him before the day ended. You have been calling me "Mommy" for a decade now. It's been quite a journey, from the first time I cuddle you in my arms till now you are growing almost as tall as me. Not forgetting that now you are wearing the same shoe size as me too. Deep down, I know time will not slow down and I'm embracing the tweenhood that you will be going through. Over time, you have shown me that you have grown up not only physically but also on your attitude in life. You set yourself a goal to do well this year and so far you have not disappoint me with your results. I'm sure as long as you continue to strive for the best, you will be able to achieve what you want to be. Many times, I asked you "what do you want to be when you grow up?". You replied :"I don't want to be a doctor, a lawyer or anything". Recently you told me you want to be a banker...sounds good to me. No matter what aspiration you have, I hope you will be good in it and be successful in life. Happy 10th Birthday my son! I cannot even imagine my son turning 4 next year and hoping that he doesn't grow up every every single day. Yours is already 10 and what u said is true. They will grow up. Sigh. The mommy's heart. The mommy's love. Only after becoming a mommy will a woman finally understands.